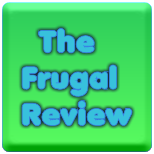 FRUGAL REVIEW: Best Internet Sites To Make Money From Home! I wrote tips on how to make money from home and lots of people also commented on how they are making money from home too and gave their tips. Check it out if you are interested in making money from home!